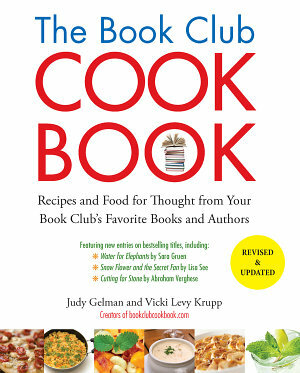 BookClubCookBook.com hosted #UnearthedParty in July. 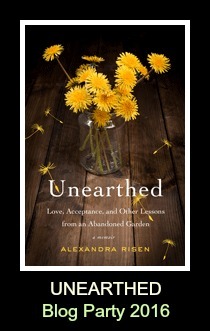 Bloggers are created a memorable menu to celebrate the launch of Unearthed: Love, Acceptance, and Other Lessons from an Abandoned Garden by Alexandra Risen (Houghton Mifflin Harcourt, July 5, 2016), a moving memoir about digging into a garden —and into the past— and finding secrets, beauty and acceptance. 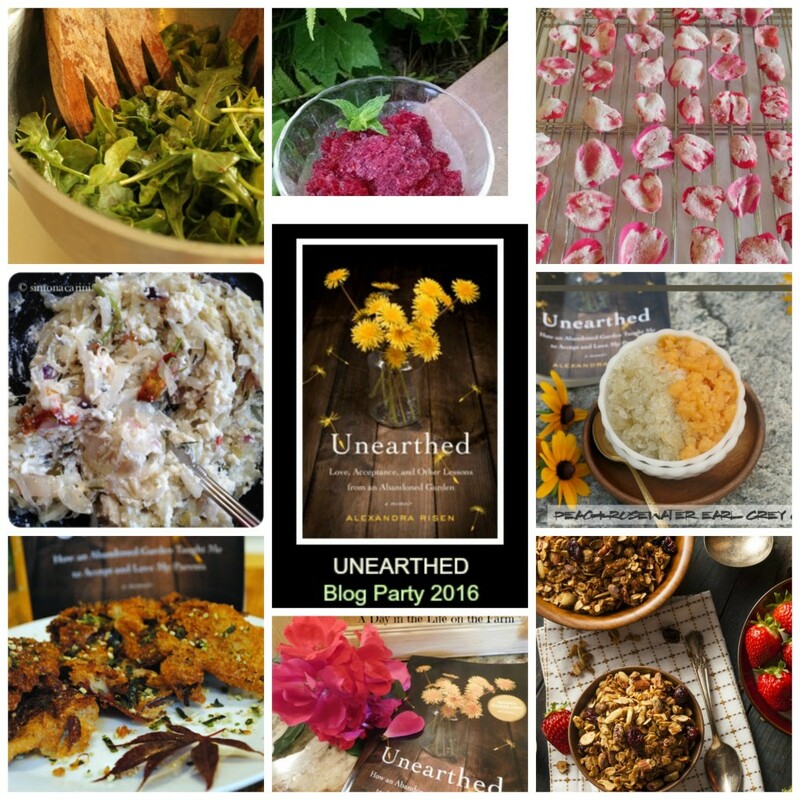 #UnearthedParty features food bloggers’ recipes from or inspired by Risen’s memoir. 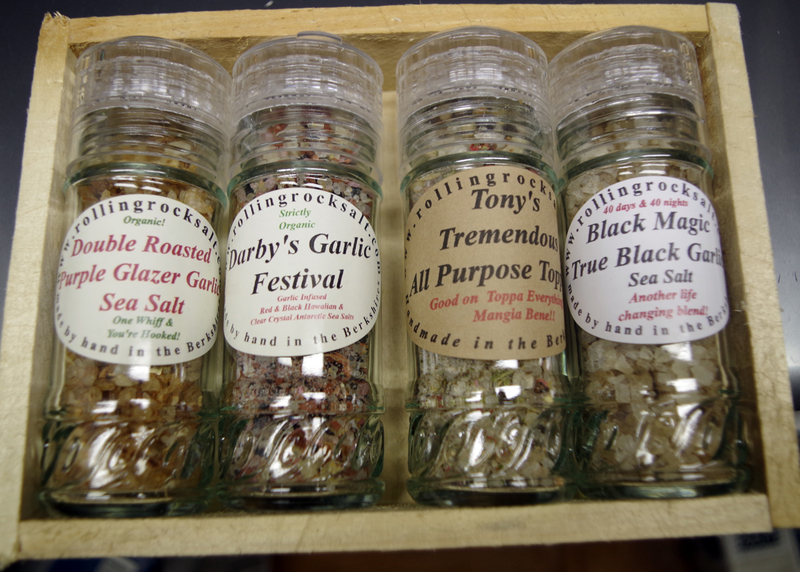 Thanks to Rolling Rock Farm for providing handmade sea salts and pepper blends to our bloggers!